It is vital to perform preventative maintenance on your equipment to avoid costly down time and repairs from breakdowns that can be avoided. Our PM service includes changing oil, oil filter and air filter as needed. 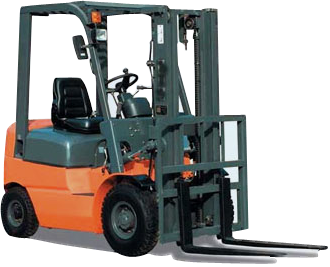 We will top off all fluids and do a general inspection of the forklift including wiring, spark plugs, battery and terminals, all hosing, belts, radiator, clutch, brakes, lift and tilt cylinders, ball joint and starter. We will inspect all safety items such as horn, seat and seat belts, back up alarm and tire condition. Our technician will report in writing findings from the inspection. Additional repairs can be performed at customers request. We will also send you a written quote of repairs needed. Our PM charge is $70.00 plus parts (up to 8,000 lb capacity), there will be no travel time or fuel sur charges added. Please compare our pricing and service to your existing company and make sure you are getting the best deal out there. EVERY PENNY COUNTS! This is for you if you are using equipment daily for long periods of times. This plan is right if you use your equipment frequently, but not all day every day. Equipment is used once or twice a day for short periods, or only use it to unload the occasional shipment. If your equipment is rarely used, it should still be maintained to prohibit any damage from sitting idle for too long.